Just because it is a fact does not make it easy to accept. 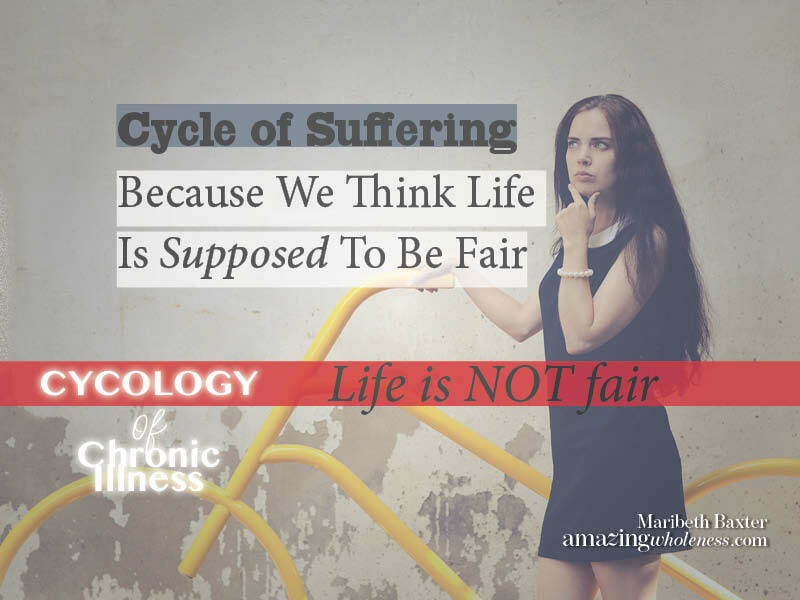 Accepting the fact that life is not fair helps us relax into the situation of chronic illness so that we can move forward, and hopefully out of it. Sometimes we have to stop, see some of the basic facts of life, accept that it is a reality for ALL people that life is not fair, then move on. This works with chronic illness as well. Using our minds (Cycology of Chronic Illness) to help us see where we are stuck can move us forward. Our bodies have a greater chance of healing from the physcial when we can heal the emotional.